Lina Juknevičiūtė was born in Vilnius, Lithuania in 2001. She studied at the National M.K. Čiurlionis School of Arts in Vilnius with Dainius Puodžiukas, later Inga Gylytė and prof. Jurgis Dvarionas and she followed also preparatory courses by Lithuanian Academy of Music and Theatre. 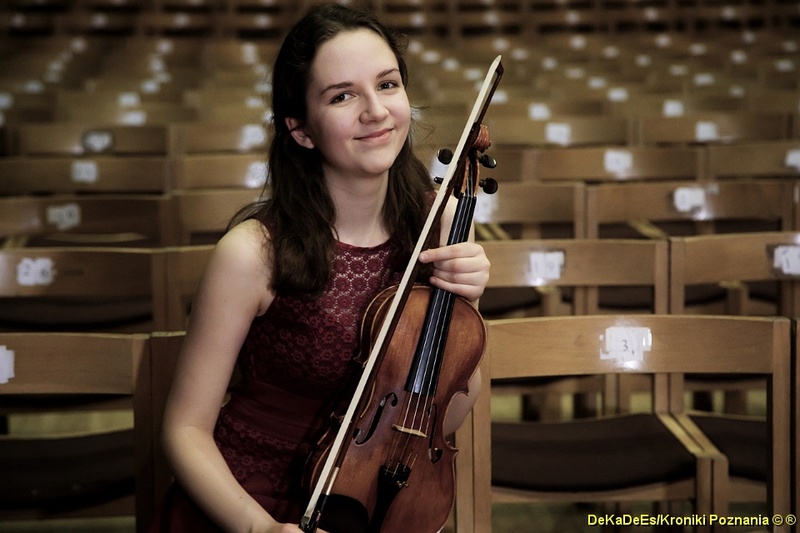 In 2018 she joined Purcell School and she is now furthering her musical education at the Purcell School for young musicians in London (UK) with with Aistė Dvarionaitė-Beržanskienė. Lina’s solo debut took place in Lithuanian National Philharmonic Hall when she was just ten years old. Since then she continuously performed in Lithuania and other European countries. Lina has already participated and won many competitions such as National Balys Dvarionas competition (Vilnius), International Balys Dvarionas competition (Vilnius), National contest of Raimundas Katilius. Lina won also first places in “Trakai 2012”, in the International contest “IX and X Concours International de Violon-Violoncelle-Alto Alexandre Glazunov” and in the 15th ”International Georg Philipp Telemann Violin Competition” she won III place. As an acknowledgement of her achievements, Lina received an official presidential recognition letter from Her Excellency. In 2018 she won EMCY prize. Lina has also participated in chamber music projects such as “Schumann Junior”, “Meisterschüler Meister” and in master classes with Johan Ko, Jack Liebeck, Noé Inui, Mira Wang, Jan Vogler, Sławomir Jarmołowicz, Boris Brovtzyn, Itamar Zorman and others. If you are interested in working with Lina, please get in touch with the EMCY Office.